Each dog will be taught basic manners and obedience skills to help them move into their new home. During their training dogs will be socialised three times daily to establish a routine, and after a few months of dedicated and consistent care the dogs, it is hoped, will be ready for adoption. 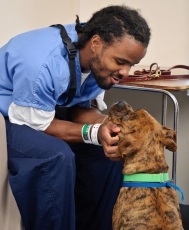 According to the prison, this program is only possible through several community partners and volunteers and will be completely dependent on the community’s support and generosity through donations of money, basic necessities such as treats, leashes and toys, as well as volunteers’ time. “We truly believe this to be a worthy project that will have an overall positive effect the inmates, the dogs and the community,” the prison said. If you would like to make a donation contact Juliet at juliette@fivestareventscayman.com 929 7772. Cheques can be made out to “Cayman Islands Government” with reference to HMCIPS BARK programme. (CNS): Since the deregulation of Saltwater Pond as Cayman Brac’s last remaining animal sanctuary in November 2012, which was passed by the LA without a single question from any of the members, the conservation of the island’s very limited wetlands has become even more critical. However, the National Trust has announced that it recently completed the purchase of 10 acres of wetland on the South Side of the Brac (left), ensuring its preservation. Saltwater Pond was stripped of its protection under the Animals Law to allow the owner of the adjacent Alexander Hotel to address an unpleasant odour that sometimes occurs due to the decomposition of natural material. Since then a controversial plan emerged to turn the pond into a marina. These plans, however, appear to be on hold because the hotel owner, Cleveland Dilbert, who proposed the marina development, is unwilling to pay for an environmental impact assessment, which the government has insisted upon due to the numerous red flags raised by the Department of Environment about the project. Because of this Dilbert closed his hotel on 15 June thsi year, and despite the “de-mucking” of the pond by government to help with the smell, the hotel remains closed. However, there has been no suggestion that the protection of the pond by law be reinstated. 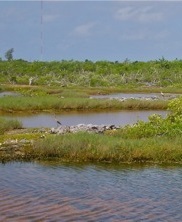 The decision by the government to remove the protection from Saltwater Pond prompted the Cayman Brac District Committee of the National Trust to identify wetlands in the same general area which could be protected permanently. The purchase of the wetlands, also known as the Marshes, was made possible through the generous donations of the Trust’s annual Land Reserve Fund Donors and supplemented by funds raised by the Brac District Committee members. The Marshes are a series of herbaceous and woody wetlands between the south coast road and the Bluff, and represents an important feeding area for water birds. This habitat, and transition habitats adjacent to it, also harbours a wide variety of local plant life. For more information on the National Trust for the Cayman Islands, visit their website or call 749-1121. (CNS): Four women and three men were finally selected Thursday to try the former Cayman Islands premier when the case against him for misusing a government credit card is expected to open on Monday. The process took several days after the entire jury pool of almost 100 people was pared down to around 25 as a result of a questionnaire they each had to fill out. Despite the early elimination of jurors that were perceived to have a real or possible bias from the survey, both Bush’s defence team and the crown used up all five of their challenges to the names drawn from the remaining pool. Nevertheless, eventually a cross-section of seven people from the local community was sworn. Before dismissing the jury until Monday morning the presiding judge, Justice Michael Mettyear, issued a warning to the seven men and women about the need for Bush to have a fair trial and for them not to discuss the case with anyone or to pursue any background research before or during the case. The judge stressed the importance of deciding this case only on the evidence that they will hear in the court and drawing on their own common sense to arrive at a verdict. He warned them that talking to others about it or reading media reports or researching other information about the case could consciously or unconsciously influence them, which would be unfair as well as being in contempt. “There has been media coverage, as there is bound to be in a case like this, but it can be wrong and misleading. What matters is what happens in court,” the judge said. 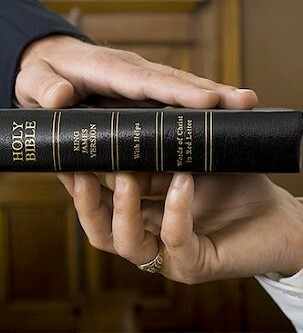 “It is going to be an interesting experience for you I am sure,” he added as he dismissed the newly sworn panel. Legal discussions between the two teams of attorneys before the judge was expected to continue through Thursday and Friday before the opening of the crown’s case against Bush on Monday. (CNS): The RCIPS have now revealed that they are looking for a cash register which was stolen during a robbery on Friday night at Joe Ena’s liquor store. A police spokesperson said the armed, masked man had fled the scene carrying the entire till from the store on West Church Street, West Bay on 5 September. The register is described as a Toshiba TEC 1450-1 which had some of its keys worn down to the metal. The robber was last seen on foot running towards the bushes opposite Joe-Ena’s Liquor Store. Police had stated earlier that they believed the man killed in a motorcycle crash some 40 minutes after the stick-up, in Jefferson Road, may have been involved in the crime. (CNS): The Cayman Islands is struggling to keep pace with the resources necessary for dealing with illegal migrants and refugees, the premier told a regional audience Wednesday as he opened the United Nations High Commissioner for Refugees Caribbean Region Pre-Ministerial Meeting which is taking place on Grand Cayman this week. Despite the difficulties he still lauded Cayman as a progressive nation when it came to meeting its international human rights obligations to granting asylum. But Alden McLaughlin also described the challenges surrounding the numbers of Cubans arriving in Cayman when faced with budget constraints. 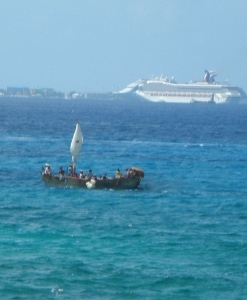 McLaughlin said with Cayman Brac sitting just over 100 miles from the southern coast of Cuba and all three Islands in the path to Central America the per capita rate of illegal migration here exceeds that of most other countries, including the United States. “The cost of receiving, processing, detaining and repatriating illegal migrants was over US$1 million in the 2013-14 financial year. The cost for providing assistance for asylum seekers and refugees also exceeded the projections during the 2013-14 financial year,” he warned. Since Cayman entered into a Memorandum of Understanding with Cuba no refugees from that country have been granted asylum here. But he stated that immigration staff were well trained to deal with the applications. “The screening for migrants who have a valid claim for refugee status is a key role that the Immigration Department performs. Staff have been trained in international refugee law, leading to the revision of policies for the reception and processing of migrants,” he said. But the premier noted that the Deputy Governor will lead a delegation to Cuba nest month with the aim of negotiating a new Memorandum of Understanding with the country that speeds up repatriation. Speaking about the meeting and the follow up in Brazil later this year he said Cayman was keen to work with its regional neighbours on strategies and practices, “that can help prevent risky illegal migration from being attempted in the first instance and practical ways of dealing with the processing, custody and repatriation of illegal migrants,” he added. “For those who seek refuge here fleeing from persecution in their own country, we have adequate and proper legislation that allows them to apply for asylum,” he said. The meeting on mixed migration and protection of refugees and stateless persons, which is taking place at the Westin on Seven Mile Beach will help set the agenda for the December meeting in Brazil. (CNS): The education and employment ministry is moving its job-seekers' training programme, Passport2Success, from the ICCI campus to the UCCI. Officials from the ministry stated that data collected over the five years the programme has been running suggested that only 20% of those that graduate from the training go on to college. Ministry officials said in a long release that in order to address these low numbers accessing higher education, the the UCCI could provide an environment that facilitates opportunities for graduates to access higher education and the campus would stimulate, motivate and encourage P2S graduates to take this next step. The release did not indicate why the desire to further their studies had not be triggered for the graduates at the current ICCI campus. “I am very excited about the current cohort and the move to UCCI,” said Shannon Seymour, Director, The Wellness Centre. “We’ve always encouraged our graduates to further their studies so with this move we can do so much more to assist them in the process. I believe that being housed at UCCI will help to overcome some of the self-doubt our P2S participants have about their ability to succeed in academics. “Work skills development continues to be our primary goal, but instilling a desire for lifelong learning goes hand in hand. We would like to thank President Bodden and his staff for the efforts to welcome us” she added. Now in its fifth year, Passport2Success is an employability skills development programme which has been operated from the campus of the International College of the Cayman Islands (ICCI) for the past four years. According to the statistics one year after graduation over 50% of graduates secure employment. Officials stated that the success of the programme lies in its ability to assist participants in overcoming barriers and gaining the skills needed to access the labour market. But the managers of the course believe that more graduates should be going on to further education. As a result of the various courses, programmes and degrees that the UCCI offers, it can facilitate a seamless transition for participants into higher education. The UCCI offers foundational courses that will provide a bridge to higher education for P2S graduates who have not been successful academically and who are lacking in their high school exam passes. This bridge to higher education is very important to the P2S programme as, officials said, many of the participants historically have not found academic success. As a result access to these basic courses should make for a more successful transition into study. Over the course of the programme the Ministry has found that many P2S participants are interested in professional pursuits in the technical and vocational areas. The UCCI offers a number of technical and vocational programmes at both the certificate and Associate level. The UCCI campus is also home to the new School of Hospitality Studies. Delivering the programme on the campus of the UCCI means that P2S participants can engage in the process of building relationships with college faculty, administrators, advisers and students as they explore opportunities to engage in higher education and technical training. In welcoming the P2S Programme and its Cohort #15, Roy Bodden, President of UCCI said it was a pleasure to share the campus facilities with such a deserving group of young Caymanians. “I speak for the collective when I invite you to avail yourselves of the opportunity to involve yourselves in college life beyond what is required for your programme completion. It is my hope that some of the P2S participants will be so impressed and interested that they register for programmes offered at the University College,” he said at the opening of the first P2P course at his college on Monday. The UCCI offers day and evening classes and presents an opportunity for P2S participants to sit-in on a college level class and participate in a higher education environment. She said the hope was that the experience of being there would motivate P2S graduates to explore the educational options to develop the tools, skills and experience needed for success in the labour market. The latest group in the P2P 12 week programme is made up of 25 unemployed Caymanians between the ages of 17 and 20. For more information on the P2S programme contact Dianne Conolly, Training and Development Manager for the NWDA at dianne.conolly@gov.ky or 945-3114. (CNS): The multi award-winning documentary film, Crime after Crime, will be screened at the Harquail Theatre this evening (Thursday) as part of a fundraiser for the Cayman Islands Crisis Centre. There will also be a presentation by Joshua Safran, a lawyer featured in the film, who will talk about his struggle to free Deborah Peagler, a victim of domestic abuse and subsequent bureaucratic injustices who was sentenced to 25 years for the murder of her boyfriend. Tickets for the presentation, the movie and refreshments cost $65. Peagler, who was brutally abused by her boyfriend, was languishing in prison when a California law allowing incarcerated domestic-violence survivors to reopen their cases was passed. Two rookie attorneys, convinced that they could free Deborah in a matter of months, encountered corruption and politically driven resistance, which sent them down a nightmarish, bureaucratic rabbit hole of injustice. (CNS): A government motion to introduce 'one man, one vote' in single member constituencies before the 2017 election has been passed by the Legislative Assembly. In an ironic twist it was backed only by the government members, all of whom were present in the chamber, to affirm the premier’s motion. The two independent members, who have campaigned so hard to ensure the introduction of the electoral reform, abstained from the vote when the premier refused to amend his motion to either include a time line or specify the number of seats to shore up the government commitment to the long awaited voting change. During the day long debate in the parliament on Wednesday, Premier Alden McLaughlin said that Electoral Boundary Commission would complete their report and the government would amend the legislation all in “good time” for the 2017 ballot but he refused to give the EBC any directions as he said that their remit was constitutionally mandated and that it was up to legislators to decide what recommendations would be accepted. He pointed out that the constitution already provided for the 18 seats which currently make up the LA and said there was no need to specify since government had not directed anything different and had no plans to increase the number of constituencies. During the debate McLaughlin accused the independent members of being paranoid as he committed to the electoral reform and wondered what was going on in the member for East End’s head. Arden McLean, who brought an amendment to the government motion, told the premier that what was in his head was the fact that he did not trust his former party colleague, as he pressed the point that there was precedent for setting the terms of reference for the EBC. McLaughlin said the politicians should not attempt to circumscribe the committee's work and the amendments sought by McLean and seconded by Ezzard Miller were founded on a misunderstanding of the constitution. He said there was nothing in government’s motion about increasing the membership of the House and government was fully committed to the election law amendment well before the 2017 national poll. Without the changes the two members abstained from the vote, which was carried by the 12 members of government with just Opposition Leader McKeeva Bush and his West Bay colleague, Captain Eugene Ebanks, who had previously voted with the independent members for their OMOV motion earlier this year, voting no. Bernie Bush, who is understood to support OMOV, was absent from the chamber at the time. During the debate McLaughlin had indicated that while the issue was very important to a few very vocal people, it was not necessarily a priority but he was glad to have dealt with the issue and reach a consensus across his government. However, the motion is just a first step towards the electoral reform, which, despite some detractors, had the backing of a majority of voters in a 2012 referendum. Members made brief contributions to the motion, in particular back-bench Al Suckoo, who had pushed the boundaries with the PPM party when he voted against the government line earlier this year and backed a private member's bill for the reform brought by McLean and Miller. He pointed out that he had been elected by the people of Bodden Town on a mandate to bring OMOV in SMCs and he had made a decision to do it no matter what the impact on his political career. The three Coalition for Cayman members also all stood tooffer their backing for the reform. Roy McTaggart and Winston Connolly emphasized their long standing and unequivocal support for the reform, making it clear they were not the stumbling blocks that the premier had previously implied were in his government. McTaggart congratulated the two independent members for keeping up the pressure to ensure the introduction of OMOV. Tara Rivers, who represents the district of West Bay and the only area of the country that had a slight majority against OMOV in the referendum, indicated she believed in equality of voting but said little about whether or not she backed SMCs and said it may not be the most perfect voting system but it was right for government to make the change as equality was fundamentally important. Marco Archer, who had missed the last vote, made it clear he was delighted with the move to begin work on the reform and that the government could get back to addressing the critical issues facing the country. Meanwhile, Bush accepted that the government had the numbers to make the change but warned that the country would “chew off more than it could swallow” with the vote as he raised his long standing objection to the change, which he said would herald in garrison politics in some areas of the country. He said that the existing system had served Cayman well and that the government should think very hard before it started chopping up the districts. McLaughlin said that equal suffrage had been on the political agenda for a long time and it was an “honour and a privilege” but government had battled through “political storms” to reach this point. McLaughlin has not yet given a date for the start of the EBC but the governor is expected to appoint a chair shortly and then the premier and the opposition leader will appoint a member each to the commission.